What makes openSPOT way better than any hotspot currently on the market? openSPOT is a customly designed dedicated hardware unit for standalone operation. It doesn’t need a computer, a Raspberry Pi, an Arduino board, or any other hardware. It doesn’t need slow desktop PC software or drivers to install. It comes preassembled with all the needed accessories. 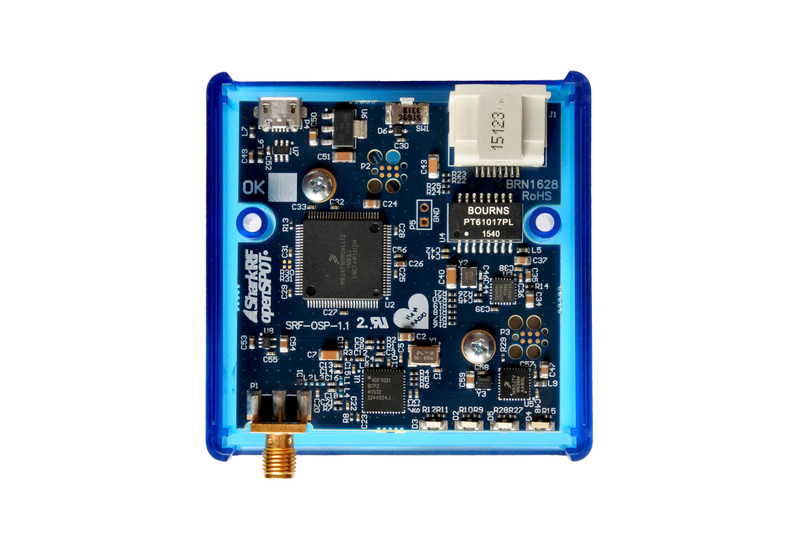 openSPOT is designed by hardware and embedded software professionals, who are also amateur radio enthusiasts. It’s PCB and hardware components are very high quality and meet industrial standards as you can see by clicking on the high resolution photo below. openSPOT’s compact blue case is made from durable ABS plastic, and held together with screws, not scotch tape. It has a metal counterweight inside with a laser-engraved SharkRF logo, and rubber pads on the bottom. You can do cross mode between C4FM and DMR. This means openSPOT can convert your DMR transmission to C4FM networks, and your C4FM transmissions to DMR networks. You can talk to other users on the Brandmeister or DMRplus network by using your C4FM/System Fusion radio, or you can talk to other users on the FCS network by using your DMR radio. This cross mode operation is very easy to set up, as you can see on the video below. 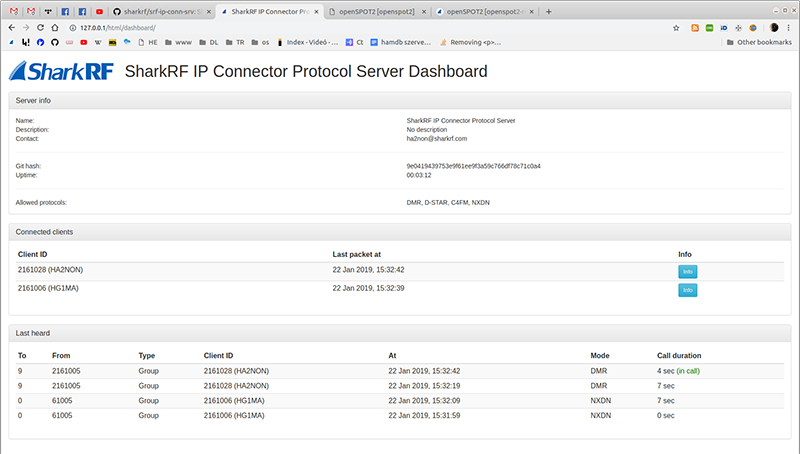 If you are a software developer, you can create your own RF applications by using openSPOT’s HTTP and UDP API which are fully documented on GitHub. openSPOT has a detailed user manual, official support on the community forum, a YouTube channel with tutorial videos, a Facebook page, and a Twitter channel with the latest news. SharkRF Ltd. sells openSPOT with an official 2 year warranty. We ship by ways of DHL and DPD with tracking. Orders of products in stock are shipped with delivery times of 1-6 business days even to the most remote parts of the world. You receive your order’s tracking number in an automatic email when the courier service picks up the package. Before purchasing openSPOT, you can select what type of power plug you need in your country, and we’ll include that in the box. openSPOT’s price is €182.5 (excluding shipping) for non-EU customers, and €219 (including 20% VAT, excluding shipping) for EU customers. Remember, this price includes all necessary accessories for openSPOT (antenna, Ethernet cable, USB cable, 120V/230V USB power supply available with EU, US, AU and UK plugs).